NECKLACE - AVON. 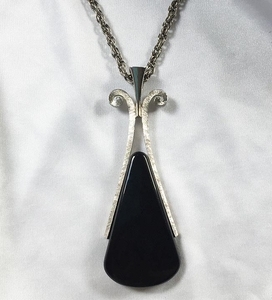 HUGE TEXTURED AND BRIGHT SILVERTONE PENDANT WITH SHINY BLACK TEARDROP-SHAPED INSET. 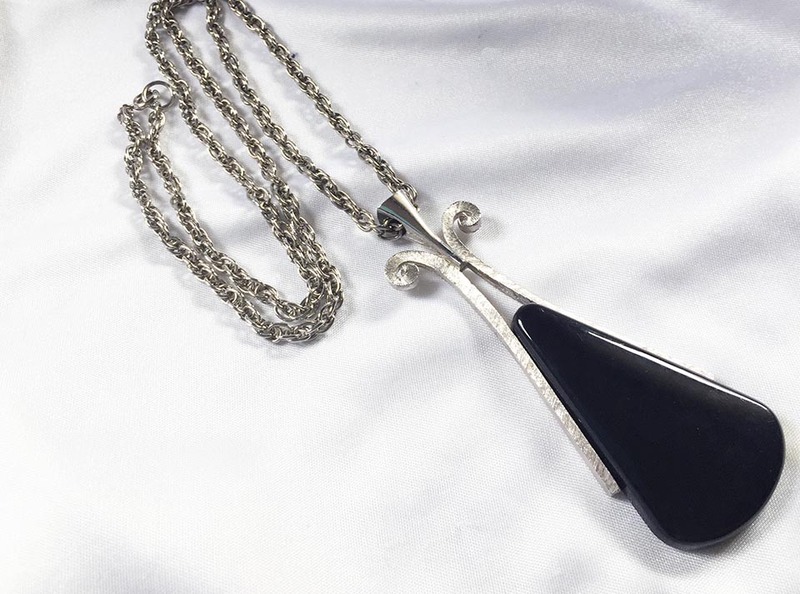 PENDANT IS 3 13/16" LONG, 1 1/4" ACROSS. CHAIN IS 24" LONG. VERY GOOD CONDITION.